Instead of broadcasting your position to educated coyotes, try leaving the calls at home and apply one of the following tactics borrowed from the deer hunters. 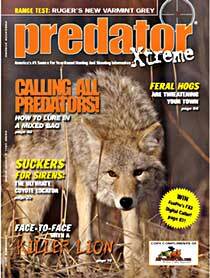 Unlike spot-and-stalk, jump-shooting is simply traveling through good coyote territory until you bust one. Jump-shoot hunting all too often occurs as a result of being spotted while traveling between stands, so always be ready for a jump shot. It is nervewracking but fun, and requires only a gun and plenty of ammunition. A variation of jump-shooting involves pushing coyotes toward another hunter, in a manner similar to a deer drive. This can be done with as few as two hunters, but is more successful with larger groups. One or more drivers kick up a coyote and funnel it toward the waiting shooter. 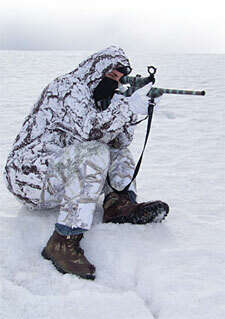 The hunter must then shoot the coyote on the run or try to stop it for the shot before it's out of range.